Cheap(er) DNA sequencer – has an iPhone dock « Adafruit Industries – Makers, hackers, artists, designers and engineers! Dr. Rothberg is the founder of Ion Torrent, which last month began selling a sequencer it calls the Personal Genome Machine. 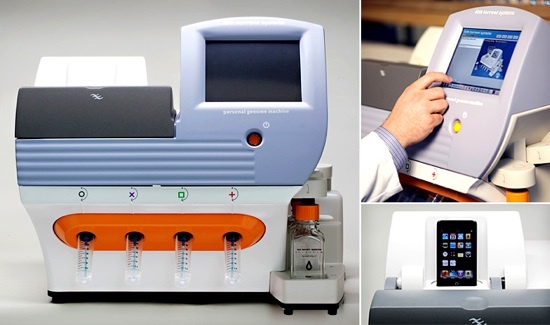 While most sequencers cost hundreds of thousands of dollars and are at least the size of small refrigerators, this machine sells for just under $50,000 and is the size of a largish desktop printer.